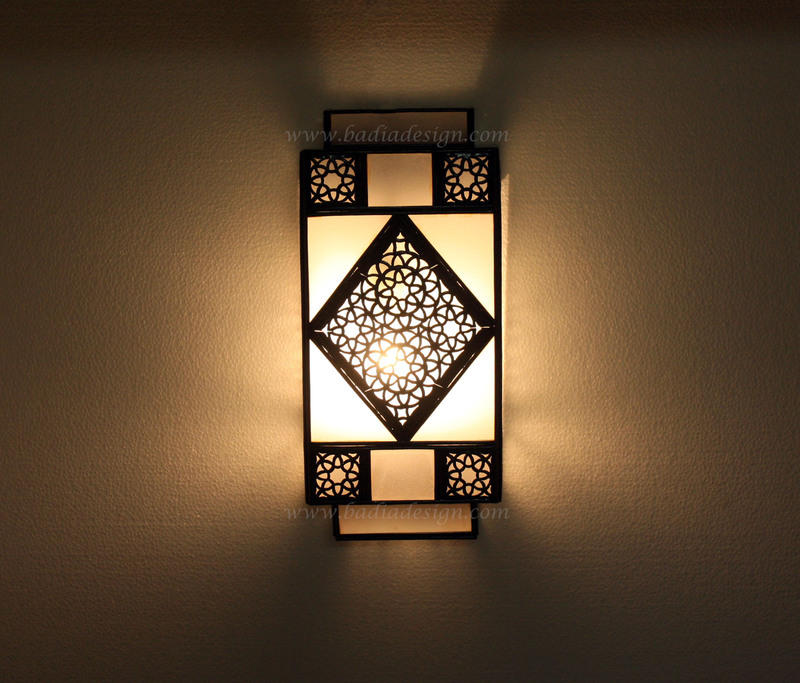 Moroccan Metal Wall Sconce with White Glass from Badia Design Inc. This item ships for free to anywhere within the Contiguous United States only. Use 40 to 100-watt bulb (bulbs not included). Please note that our Moroccan lamps are imported into the US without electrical components because of the different wiring standards. You can self install take it to any hardware store to install for you. Click the button below to add the Metal Wall Sconce with White Glass - WL149 to your wish list.